Santa Rosa, CA. – Liquid Image will unveil the APEX HD, a Full HD Video Goggle for Snow Sports with built in Wi-Fi and GPS features during the CES 2012 show in Las Vegas Booth #36801, South Hall Upper Level. 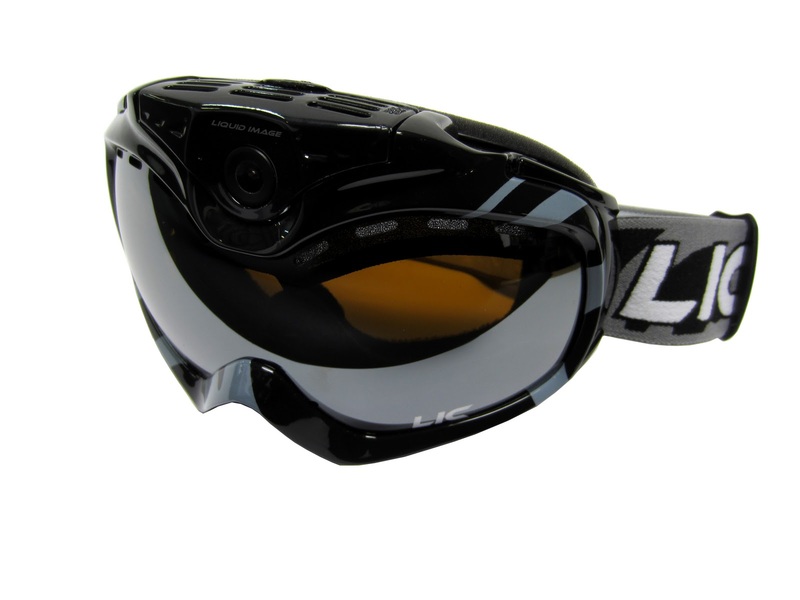 This new streamlined Video Snow Goggle contains a 136 degree wide angle lens with Line of Sight™ video capture to record all the action while skiing, boarding, sledding or snowmobiling. The hands free unit is GPS and Wi-Fi enabled for real-time viewing and playback to smart phones, tablets, or computers. No external Wi-Fi attachments are required for wireless transmission. The Wi-Fi Video Goggles can be controlled or viewed on a Smartphone with the use of an App. And, videos and images can be GPS tagged to work with mapping websites and Geolocation Apps. Multiple Apps are being developed to work with the Apex HD Video Goggle. The Video Goggle is easy to operate and has 4 modes - a HD 1080P Video Mode (1920×1080) at 30 frames per second, a High Action HD 720P video mode (1280x720) at 60 frames per second, a 12.0MP (4000x3000) camera mode, and a continuous Photo Mode. Control of the Video Goggle can be either through the wireless remote control feature or through the buttons on the side of the strap. The APEX HD Video Goggle can hold a Micro SDHC Card up to 32 GB which records thousands of photos or hours of HD video. Files may be downloaded to a computer through the High Speed USB cable provided or through a Micro SDHC card. Another feature of the APEX HD Video Goggle is an adjustable camera lens housing which can pivot upwards to 30 degrees to adjust for different rider styles. The Apex HD Video Goggle comes fully equipped and ready to use with a rechargeable battery, MicroSDHC card 4GB, USB and RCA cables, extra goggle lens, wall mount plug, replaceable face foam, Micro Fiber bag, and extra replacement straps. No extra mounts are required to attach the camera to a helmet or a goggle as with mountable cameras. The Apex HD Video Goggle is water resistant and fits most helmets. The Camera operates on a rechargeable Lithium Battery with an estimated battery performance of 1.5-2 hours of HD video depending on modes and use patterns. The battery can be replaced easily without tools to increase the recording time. This new camera model is part of the Liquid Image Xtreme Sport Cams (XSC) Brand Line which revolutionizes wearable cameras to record a view that is in line with user’s field of view. Liquid Image’s innovation of True POV™ is simplifying the way athletes capture video and share their point of view with the world. The Apex HD model 339 comes in Black or White with grey hydro graphics and a choice of two head straps to match a variety of outfits. This model is estimated to ship Oct 2012 and has an estimated US price of $399.